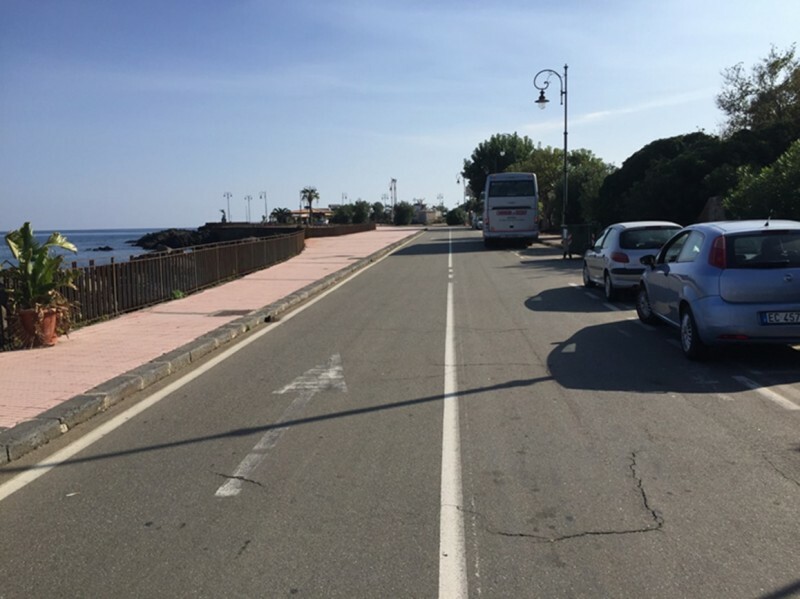 Tourists wrongly under the impression that Via Calcide Eubea is ‘One-Way’ and fast-flowing traffic. 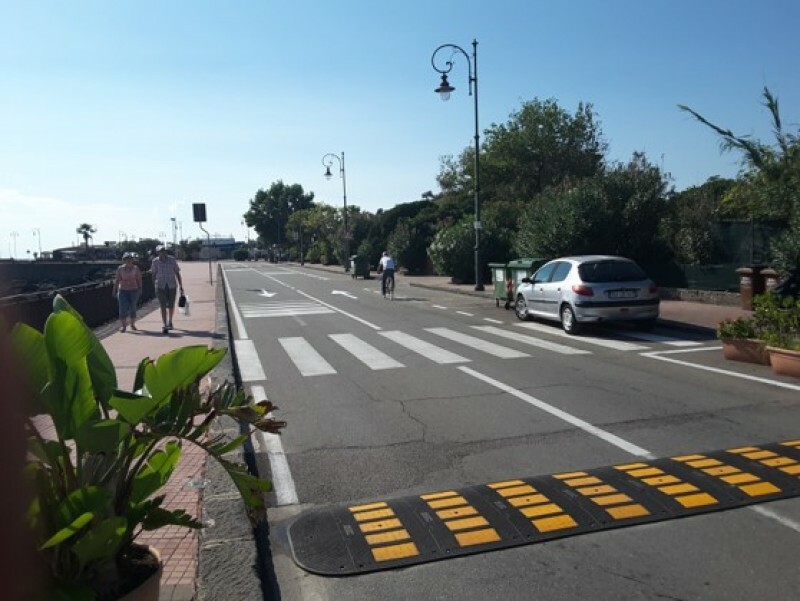 'Rumble strips' installed to slow vehicle speeds, vertical signage installed warning pedestrians of direction of traffic and white road markings refreshed. This combination of safety remedial measures has removed the danger that previously existed.